10081 Speed 20 SA JJ 5608 These pretty drophead coupes were marketed by Charles Follett and demonstrate the elegance of coachwork design during this period. 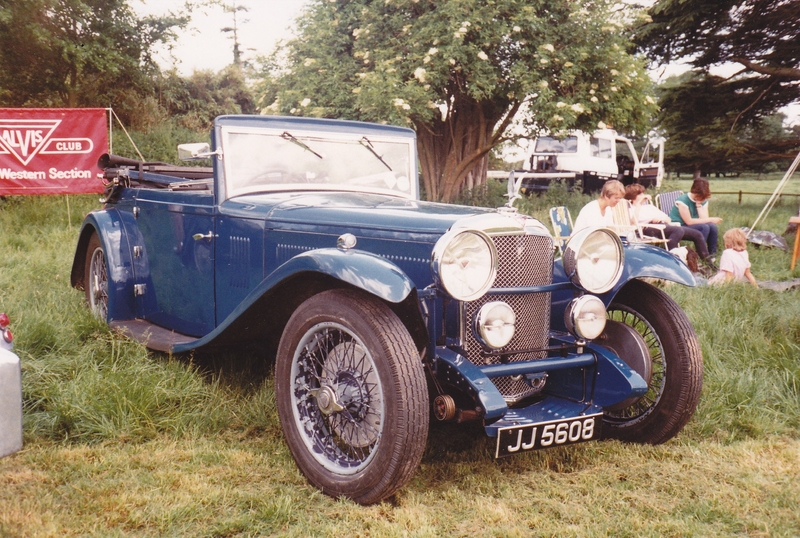 This well known car belongs to past AOC President Derek Bradbury who confirms the coachwork Vanden Plas number 1891. The first owner was A.B.Briscoe of Newmarket and thereafter the car had several owners until Derek Bradbury bought it in 1973. Derek restored the car carefully after discovering it in poor condition and saved it. This photo was taken in Breamore Hants in July 1983. Several more photos are on the Speed 20 SA page.